I was in college out of state, in a place where I had no family members or friends. I was a shy, quiet freshman who stayed out of trouble. One night, I got a knock on my door after ordering pizza. I open it, thinking it's one of my neighbors and it's....the cops. Three of them. Glock's drawn and pointed directly at me. I slammed the door shut out of fear and ran back into my room. They kicked it open so hard that it broke my wall. They rushed in and cuffed me, pinning me to the floor and asking me about a robbery. There were multiple cop cars downstairs, here to catch a criminal. Unfortunately, they had the wrong guy. They un-cuffed me, never apologized, and quietly left. I was pretty bothered by all of this and my parents were mortified. 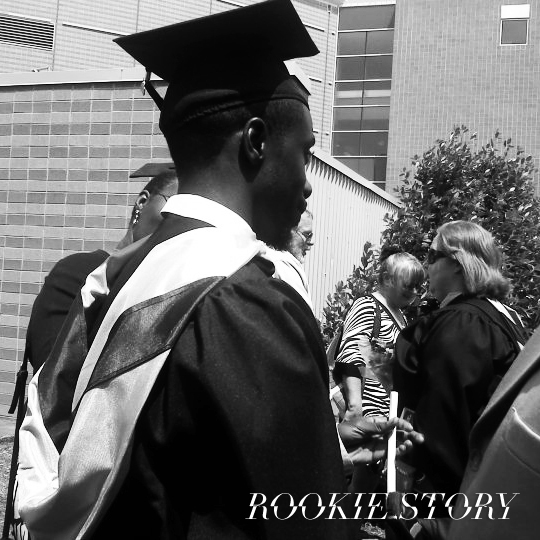 *Noah Caine's Rookie Season releases on July 22nd.